I just love the pickled beetroot my father-in-law Brian makes, its so yummy! That might be why a huge bowl of the stuff made it onto our table for the Christmas lunch-time feast! 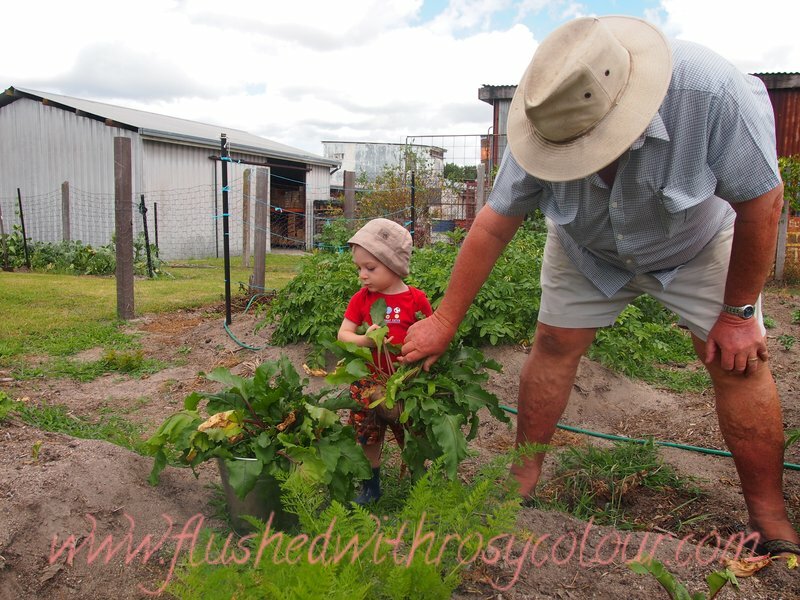 On Christmas eve, Pa took Thomas up to the veggie patch to pick the beetroot to put in a big silver bucket. It was hard work for Thomas, because some of the beetroot were nearly as big as him! 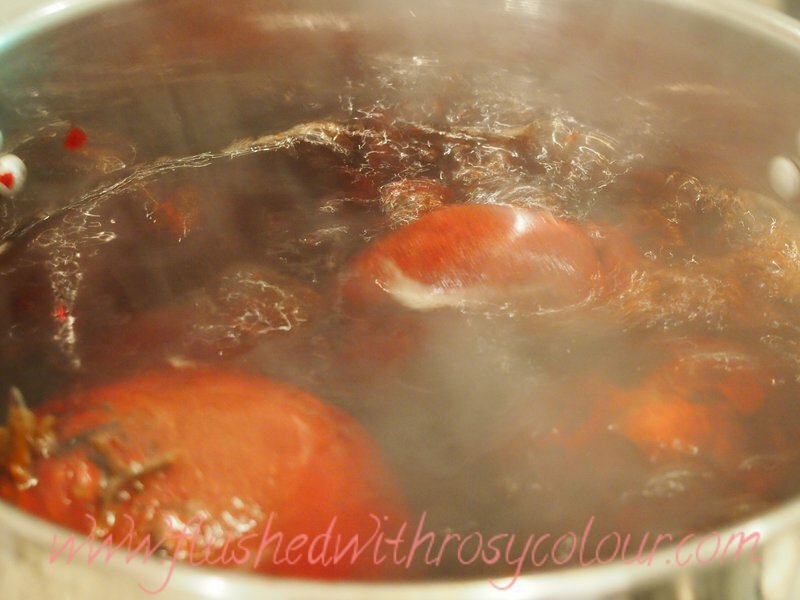 Back at the house, the beetroot was boiled in a big pot. When it was done and allowed to cool, I slipped the skins off easily under running water. 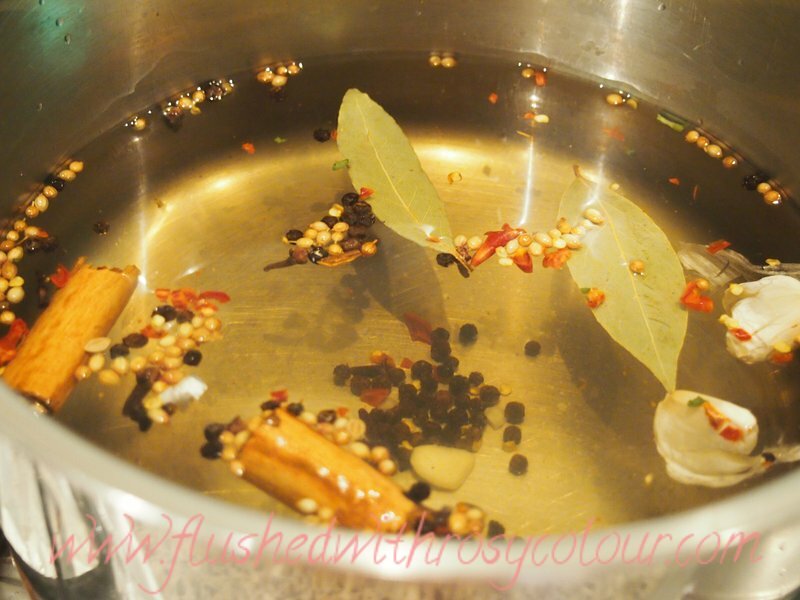 Brian has developed a fantastic recipe for pickling beetroots that includes chilli, cinnamon, garlic, and bay-leaves.Its based on vinegar and sugar, which is dissolved over a low heat. The beetroot definitely tasted its best after a day in the pickling solution. I'm wondering how it would taste if apple cider vinegar was used, because I've read that is healthy for you. I'd also like to try the recipe with stevia as a sugar substitute. 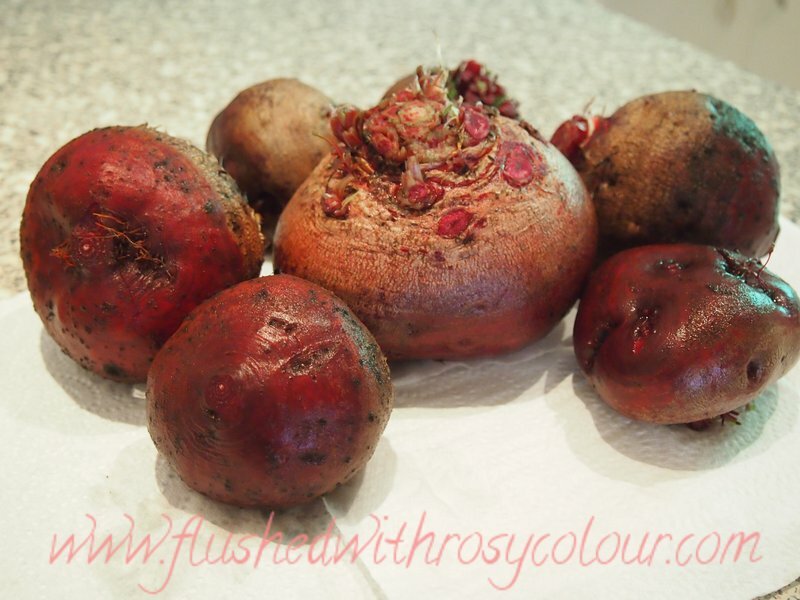 Another reason why I like beetroot so much is because they grow so easily. When I want one for our dinner I can have a root vegetable as well as some leafy greens. Two veggies for the price of one! I have a bunch growing in Tom's planter box his Pa made for him. I think some of them are going to be in need of pickling very soon!